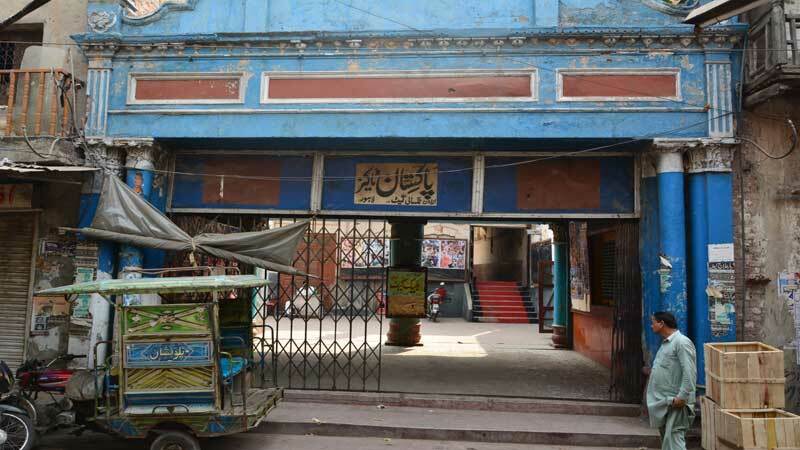 LAHORE: One of the oldest cinemas of Lahore, Pakistan Talkies, is lying in shambles and lacks any check on the content being shown in the cinema. The Walled City of Lahore Authority (WCLA) or any cinema association of Pakistan has so far shown no interest on its revival, improvement or check and balance over the content. Adult content and vulgar films are being shown in the cinema and families and females are not allowed inside. The posters of the films and show timings are displayed on the boards inside the premises. Sources added that on inquiring about the owner of the cinema, the people sitting in the ticket office or the guards inside the cinema, remain silent and do not let anyone enter inside the premises to get any such information. The structure and the building of Pakistan Talkiesis is located inside Taxali Gate, Walled City Lahore. Sources were of the opinion that previously the building of Taranum Cinema was also pulled down and now there is a plaza being constructed there and similarly if the situation of such old structures remains the same, the Walled City would lose its historic cinemas very soon. Taranum Cinema was also one of the oldest among Pakistani cinemas and was named after Madam Noor Jahan. It is also known as Novelty Cinema. Sources expressed their concern and assumed that with the downfall of the film industry, the owners of Taranum Cinema sold it and thus it was demolished. They feared that Pakistan Talkies also might meet the same fate as that of the historic Taranum Cinema. They expressed their despondency over the fact that no one from the cinema association, film industry or any other show business personality came forward to take up the ownership of this historic site. Faqir Saifuddin was of the opinion that it was the best place to be converted into a theatre and the concerned authorities should revive it as a cinema. “It is owned by some private people and they might change the use of the place, but before this happens, I insist that the government should take over and revive this first ever cinema of Lahore,” Saifuddin said. WCLA Director General and heritage promoter Kamran Lashari also while talking exclusively to Daily Times, expressed his distress over the response of agencies like the National Accountability Bureau and others by mentioning that all creative initiatives taken in Pakistan for the public interest and entertainment were later questioned thus disgracing the idea and demoralising the initiator. “This is a heritage cinema and one of the oldest in Pakistan and should definitely be saved, but I don’t want to take any step for its revival as such initiatives become controversial and later on agencies start questioning them. Until a heritage site or any place is lying abandoned and dumped, people and authorities are alright with it. But as soon as anything happens for their revival, it raises controversies. Had this cinema been in any other country of the world, it would have been among the most expensive and popular tourist sites, but this concept lacks here in Pakistan and I am extremely disheartened over these conditions of our heritage and classic cinemas,” WCLA DG Kamran Lashari said.